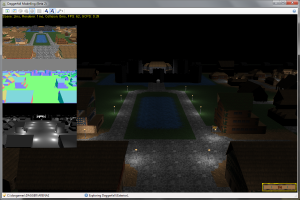 After moving everything to XNA 4.0, I decided to build a lighting system into Daggerfall Modelling Beta 2. 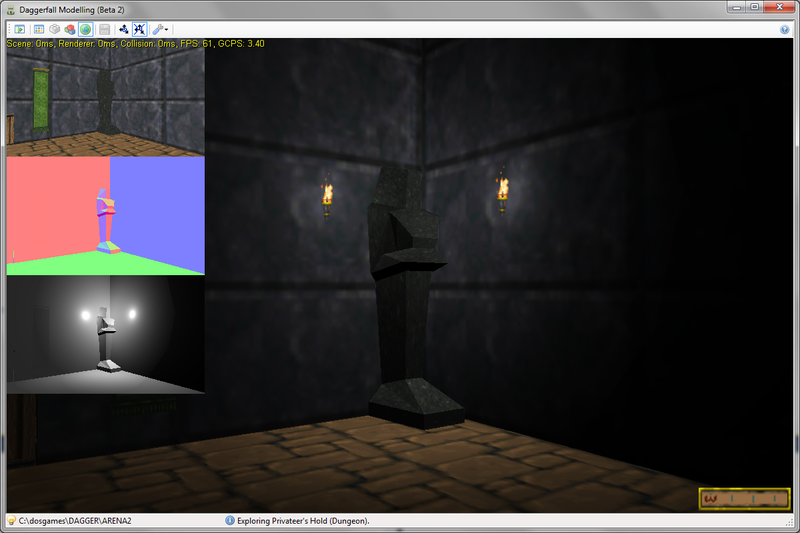 I’ve always wanted to play with deferred rendering and it seemed like a good fit for Daggerfall’s many point lights. If you’re unfamiliar with this technique, the gist is that different information about the scene is rendered into different buffers (collectively called a GBuffer) and combined together to make the final image. You can see three of these buffers in the debug screenshots below. 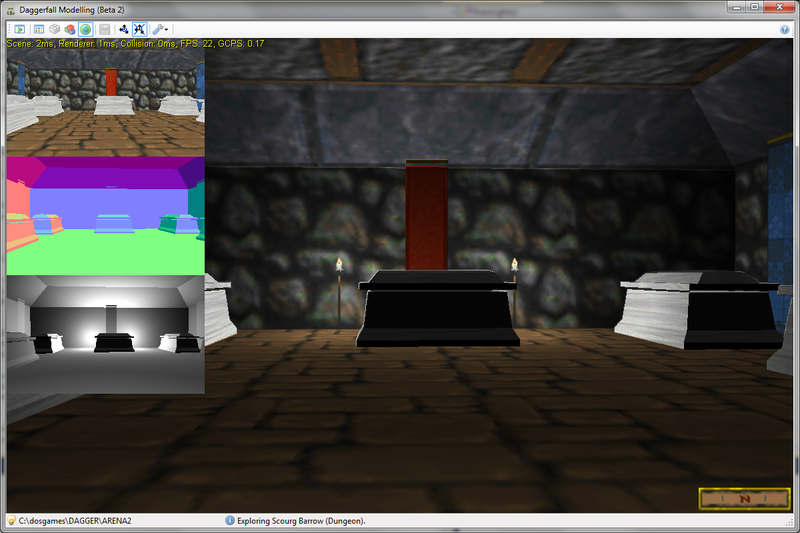 From top to bottom are the color, normal, and light buffers. These get combined with a depth buffer to create our fully lit scene. The results are very fast, even on a mid-range GPU. 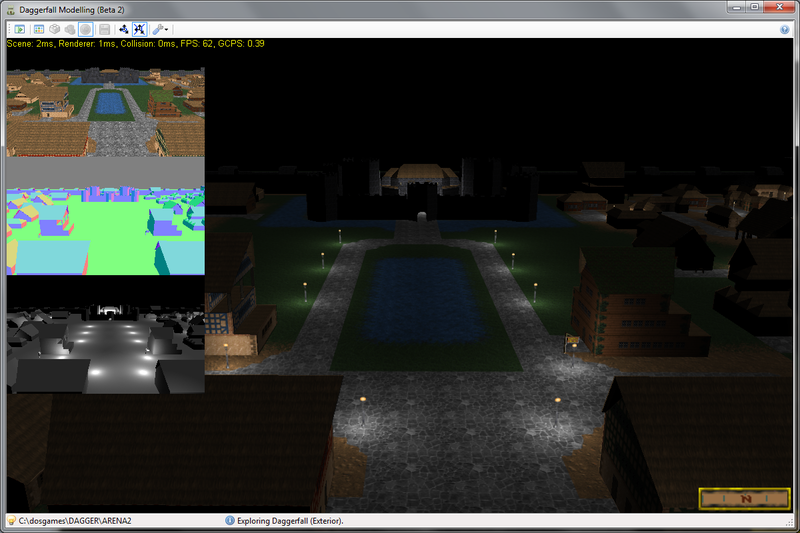 The heaviest scene below is “Daggerfall from Above”, with almost every building and light visible. Total render time is about 12ms, and most of that is spent rendering the geometry. The lighting itself takes almost no time at all. This is only the first of several visual enhancements intended for Daggerfall Modelling Beta 2. Don’t worry if you have an older computer and just want to export the models. 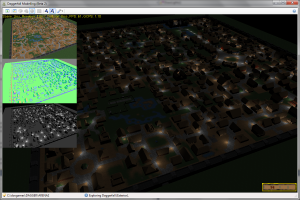 You will be able to turn off or scale back these rendering features using options. Posted in Daggerfall Modelling, Daggerfall Tools.